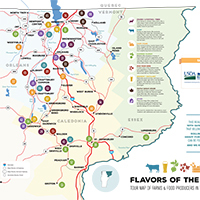 Lyndon, Vermont – Katherine Sims was awarded the Presidential Medal of Distinction by Lyndon State College President Joe Bertolino during the college’s commencement ceremony on Sunday, May 15. 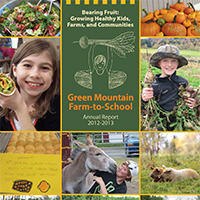 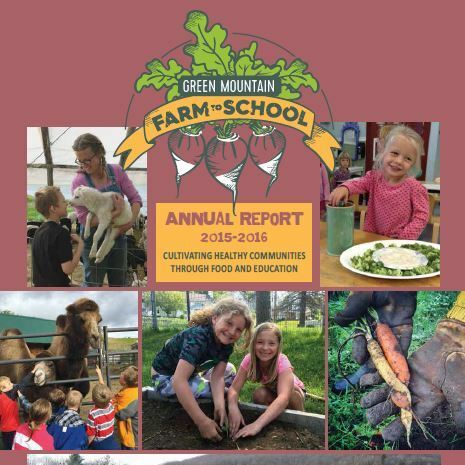 Sims was honored for her work as founder and executive director of Green Mountain Farm-to-School (GMFTS), a nonprofit in Newport, Vt. that is working to connect farms, schools, and communities through food and education. 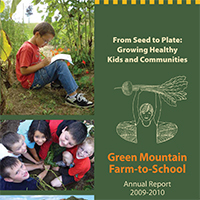 The award was created in 2013 by Bertolino and it “honors a prominent individual or organization who has contributed significantly to Lyndon State College, the Northeast Kingdom community, and the State of Vermont.” Sims’ GMFTS works with the Lyndon Economic opportunity AmeriCorps Program (LEAP), which is supported by SerVermont and hosted at Lyndon State College. 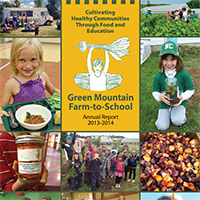 Five LEAP AmeriCorps members currently serve as farm-to-school coordinators with GMFTS in 27 Northeast Kingdom schools providing nutrition and agriculture education, planting schools gardens, and working to source local food in the cafeteria. 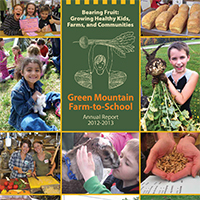 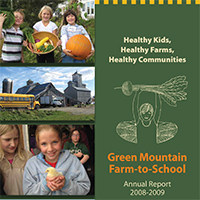 GMFTS also runs a regional food hub, Green Mountain Farm Direct, which distributed over $350k worth of local food from 40 Vermont farms to over 130 schools, restaurants, and institutions and operates the Lunchbox food truck, a summer meal program and mobile learning kitchen, which provides kids with free, healthy, and local lunches in the summer. 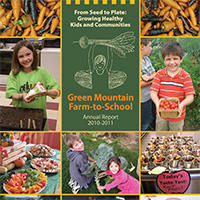 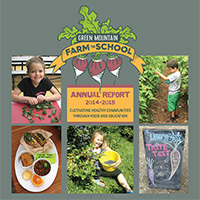 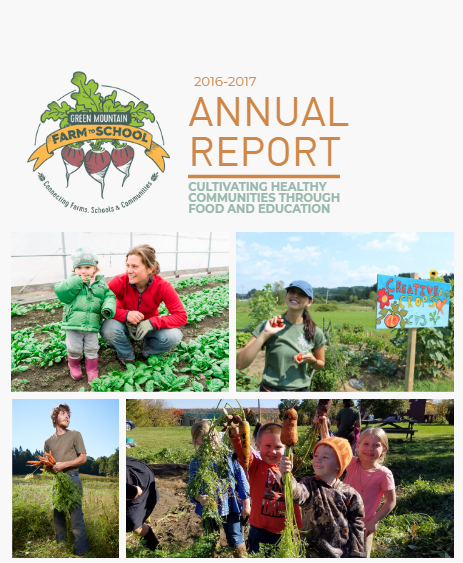 The organization also leads a state-wide educational effort, Vermont Harvest of the Month, which provides ready-to-go curriculum and materials focused on seasonal, Vermont produce.